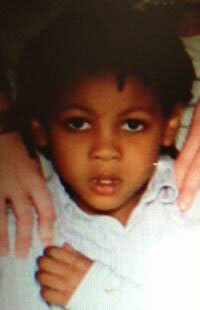 Jeremiah Mattew Mayo, 9, was last seen Wednesday on the 1800 block of Providence Street, Northeast. 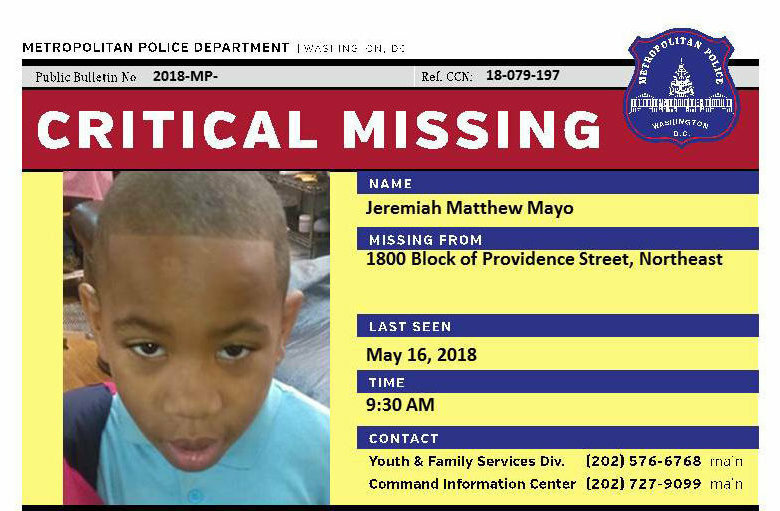 DC police are seeking the public’s help in locating the boy. 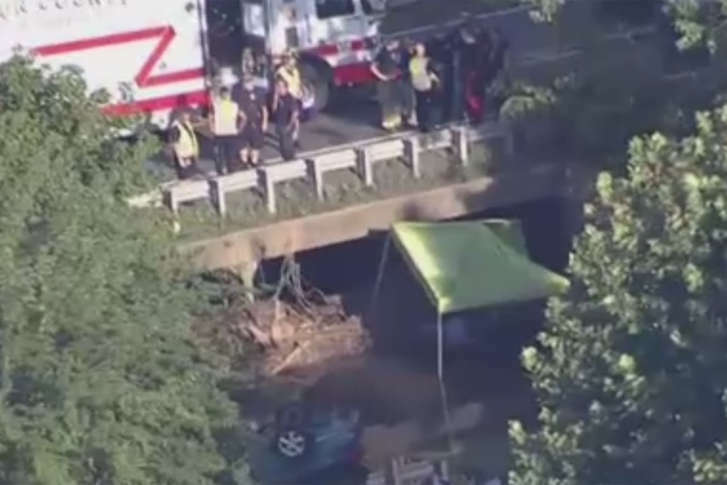 Courtney Ashe, 27, her 5-year-old son, Cameron Martin, and her 9-year-old cousin, Jaylen Sills-Russell, were reported missing Sunday, the Loudoun County Sheriff’s Office said. 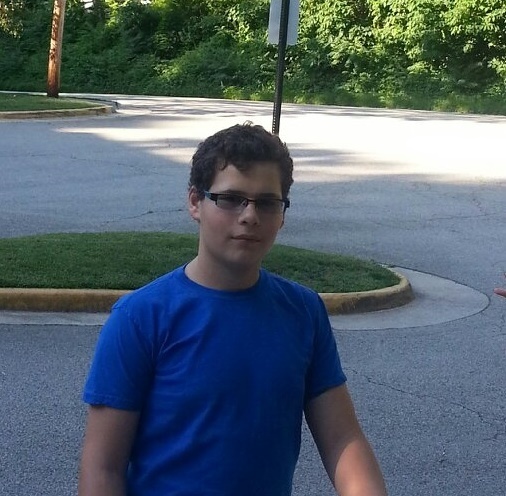 The Prince William County police say that Max Lyreman has been found and is safe. The Prince George\’s County Police Department says Maleek Sohail Davis was last seen in the 500 block of Clovis Avenue, in Capitol Heights, on Friday at about 10 a.m. 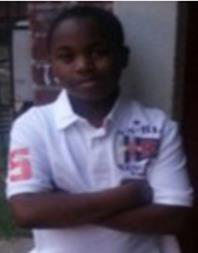 The Metropolitan Police Department is looking for help finding an 11-year-old boy who has been missing since Friday afternoon. 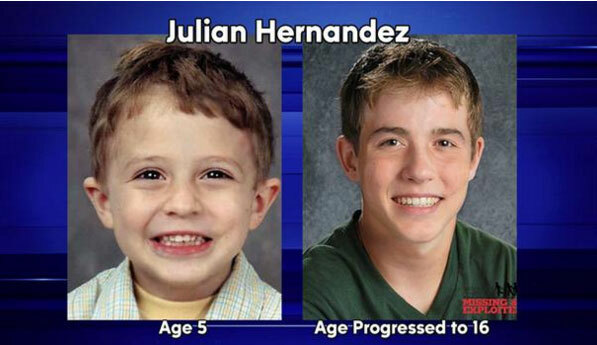 It was a fifth police officer passing the same car who finally noticed the body of missing boy Michael Kingsbury Monday night. 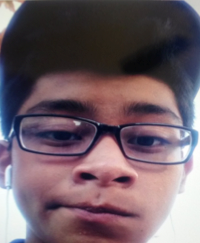 Police in Spotsylvania have been looking for a boy who was reported as being thrown into a van Thursday afternoon, but still no one has reported a child missing. 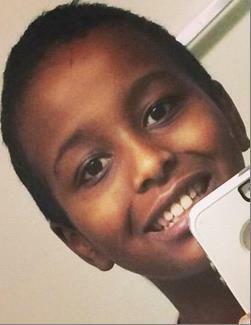 An 11-year-old boy from Gallop Lane north of Purcellville has gone missing. boy. A second child who had gone missing during the day\’s inaugural events has been reunited with her parents.